Think Sharper, Work Smarter, Live Better! Do you struggle with the stress of everyday life? Are you searching for clarity to your purpose? Do you desire to be more creative and intuitive? You can achieve these things and much more! Powerful and effective psychic techniques to become confident, self-empowered, intuitive and calm quickly and easily learned. With the phenomenally proven Psychic Smarts™ method. 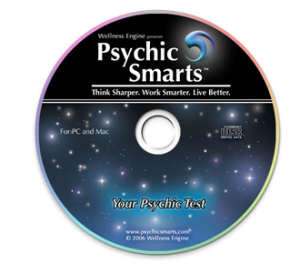 The first disc provides a guide to your inner psychic road map, explaining how you can work with and direct your subconscious mind. This disc provides you with 4 major approaches and over 35 techniques for psychic development and personal empowerment. Disc two is all about the techniques of access. 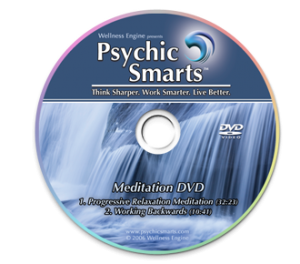 This DVD teaches you progressive relaxation and leads you through two step-by-step guided psychic meditations, with accompanying video of soothing, natural scenes. 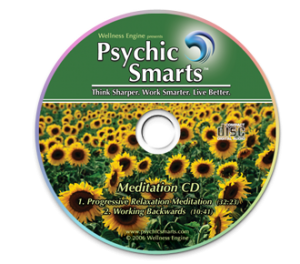 Disc three contains the meditation and progressive relaxation content from disc two, in a convenient audio CD that you can use anywhere. Disc four is a multi-level, interactive CD-ROM that tests, develops and enhances your focus, intuition and clairvoyance. “Your Psychic Test” is programmed to always be random, so you’ll always have intriguingly different results each time you play. This phenomenal 4-disc program (a 49.95 value!) is yours right now for only $29.95, plus shipping and handling. Think Sharper, Work Smarter, Live Better… Right Now! 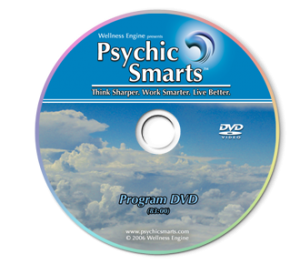 Your purchase of Psychic Smarts™ is backed by a 30-day Money-Back Guarantee.